Are you looking for something exciting and different to do while on your Myrtle Beach vacation? Do you enjoy being surrounded by nature and experiencing it all from a bird's eye view? 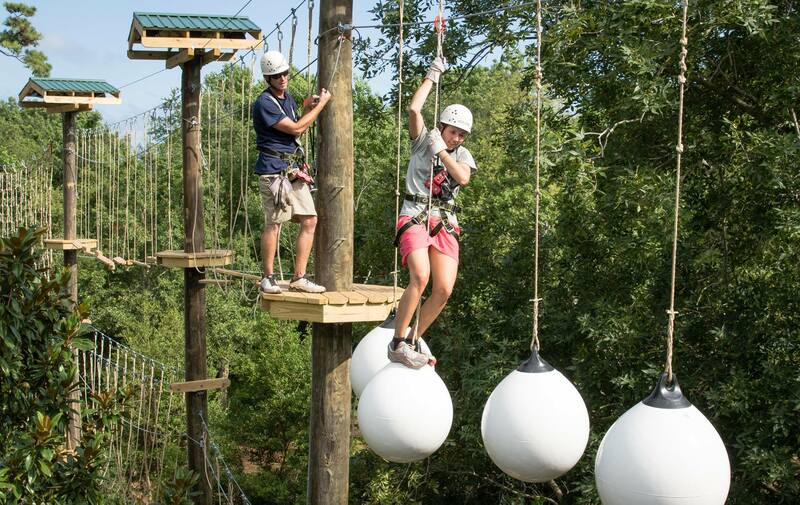 If you answered yes, then look no further than Myrtle Beach's own Radical Ropes Adventure Park. With something for all ages, Radical Ropes offers visitors a once-in- a-lifetime opportunity to take a walk through the trees and participate in exhilarating and rewarding outdoor activities. For the youngest little adventurers, Radical Ropes provides the KidZipz experience. Especially designed for children ages 4-8, this part of the park features zip lines and obstacles appropriate for all skill levels. Children must be accompanied by an adult, but the experience is perfect for the small adventurers who are not quite ready to be fully independent in the park. Participants must be at least 36 inches tall and weigh 100 lbs. in order to take part in KidZipz. If you're looking for a little bit more of a challenge, check out Radical Ropes Adventure Park's Challenge in the Trees. The Aerial Adventure Park features three different obstacle courses with varying skill levels, which take you up to 55 feet in the air, all while surrounded by trees. The challenge's cost includes 2.5 hours of access to the Aerial Adventure Park. Beyond KidZipz and the Challenge in the Trees, Radical Ropes offers a strenuous climbing wall, zip lines for the more adventurous visitors, and the Leap of Faith, which utilizes an automatic belay system that allows you to jump off a 70ft tall platform and land gently on the ground. All of these experiences are sure to thrill every member of your party. For a unique and refreshing excursion, check out Radical Ropes Adventure Park. Relish in the opportunity to experience the beauty of nature and the thrilling adventures that lie within. Glide through the trees on one of the zip lines, or challenge yourself on the climbing wall. Make some memories at Radical Ropes Adventure Park!